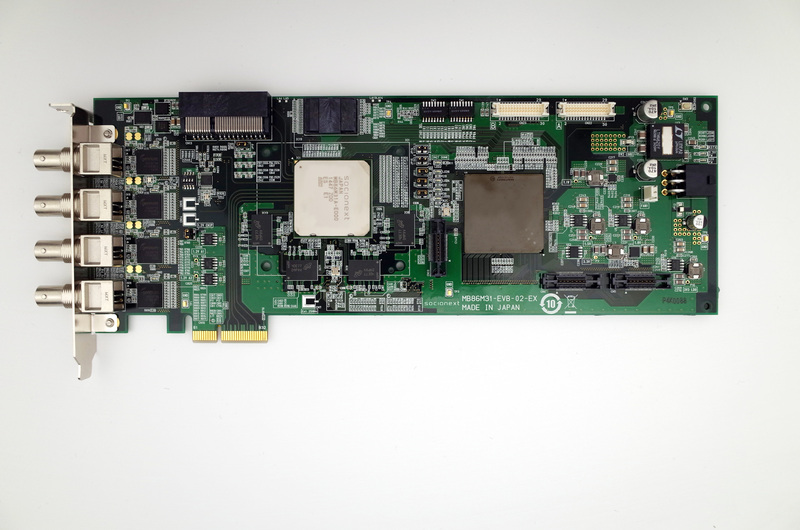 Socionext Inc. has started sampling the world’s fir st HEVC/H.265 compatible encoder IC, the MB86M31, along with an evaluation board, the MB86M31-EVB, and the software development kit for drivers and applications. The new device is capable of real-time encoding of 4K/60p video with the latest video compression technology. The "M31” provides H.265/HEVC 4K60p real-time encoding by a single chip controlled by the host CPU via PCIe interface. HEVC achieves the transmission of realistic 4K video at half the cost of the preceding AVC/H.264 technology without a loss of quality. This new format is being adopted rapidly worldwide, as 4K video is becoming more and more popular. Real-time encoding of 4K video used to require parallel processing using multiple CPUs. The new device can perform the real-time encoding with a single chip, enabling dramatic reduction in size and power consumption of the equipment, with only 1/20 the volume and 1/50 the power of multiprocessor system, for a total of 1,000x performance enhancement. This encoder is mainly targeted at high-end equipment for professional use. Socionext also offers 4K HEVC real-time decoder SoC solutions as well as encoders, and supports total video solutions for a wide range of applications such as broadcasting, medicals, surveillance, digital signage and others.